Last year, Aldi piloted a partnership with Instacart to provide grocery delivery services in a handful of test markets. Apparently the pilot program was successful, because today Aldi announced that its partnership with Instacart is going national. 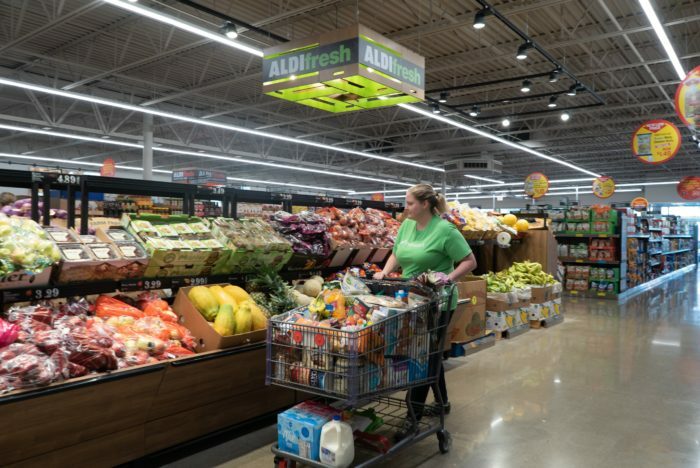 According to Aldi, the national rollout will include 75 major markets across 35 states and 5,000 new ZIP codes, with the majority of the rollout complete by Thanksgiving. New markets will include San Diego, New York City, Miami, Raleigh, and Minneapolis. Chicago, Los Angeles, Dallas, and Atlanta all have Aldi Instacart services already, having been part of the original pilot program. Shopping at Aldi with Instacart can be done either by visiting Instacart’s website or downloading the Instacart app (Google Play or Apple App Store). At checkout, customers can choose a delivery window — anywhere from an hour up to a week later — and Instacart’s “personal shoppers” take care of the rest. Prices will vary by area and size of the order, but Aldi is offering a nifty deal for first-time Instacart customers: $10 off their first three Aldi orders of $35 or more with the code ALDILOVE. The Instacart rollout is part a larger Aldi growth strategy. The retailer is spending some $5.3 billion to remodel existing stores and build about 700 new stores by 2022, in addition to revamping its existing product lineup.